Many plasmid-harbouring strains of Lactococcus lactis have been isolated from milk and other sources. Plasmids of Lactococcus have been shown to harbour antibiotic resistance genes and those that express some important proteins. The generally regarded as safe (GRAS) status of L. lactis also makes it an attractive host for the production of proteins that are beneficial in numerous applications such as the production of biopharmaceutical and nutraceutical. In the present work, strains of L. lactis were isolated from cow's milk, plasmids were isolated and characterised and one of the strains was identified as a potential new lactococcal host for the expression of heterologous proteins. Several bacterial strains were isolated from cow's milk and eight of those were identified as Lactococcus lactis by 16S rRNA sequence analysis. Antibiotic susceptibility tests that were carried out showed that 50% of the isolates had almost identical antibiotic resistance patterns compared to the control strains MG1363 and ATCC 11454. Plasmid profiling results indicated the lack of low molecular weight plasmids for strain M4. Competent L. lactis M4 and MG1363 were prepared and electrotransformed with several lactococcal plasmids such as pMG36e, pAR1411, pAJ01 and pMG36e-GFP. Plasmid isolation and RE analyses showed the presence of these plasmids in both M4 and the control strain after several generations, indicating the ability of M4 to maintain heterologous plasmids. SDS-PAGE and Western blot analyses also confirmed the presence of GFP, demonstrating the potential of heterologous protein expression in M4. Based on the 16S rRNA gene molecular analysis, eight Gram-positive cocci milk isolates were identified as L. lactis subsp. lactis. One of the strains, L. lactis M4 was able to maintain transformed low molecular weight plasmid vectors and expressed the GFP gene. This strain has the potential to be developed into a new lactococcal host for the expression of heterologous proteins. Lactococcus lactis is a lactic acid bacterium possessing the status of generally regarded as safe (GRAS). It is usually used in the dairy and fermented food industry since many decades. It has great potential application in modern biotechnology, which can complement with its long safe history in food fermentation as starter culture. L. lactis is currently used as commercial starter cultures in the production of most cultured dairy products and is favourable due to their desirable properties such as rapid acid production that contributes to specific flavours and subtle aromas of fermented food products . Many research and development are being carried out focusing on its applications in the production of biopharmaceuticals and drug delivery. The genome of several Lactococcus strains have been fully sequenced such as L. lactis subsp. lactis IL1403 , L. lactis subsp. cremoris SK11  and L. lactis subsp. cremoris MG1363 . The latter strain is by far the most extensively studied bacterium and is widely used as a model for LAB in a wide variety of biotechnological applications. The availability of the full genome sequence of L. lactis facilitates the success in annotating complex metabolic pathways in other L. lactis strains. For instance, Kleerebezem et al. highlighted several examples of metabolic engineering of L. lactis for the production of compounds such as diacetyl, alanine and exopolysaccharides, which are important for food industry. These authors reviewed a number of elegant genetic tools used to reroute carbon metabolism in L. lactis. On top of that, this bacterium is proved to be an efficient cell factory for the production of food ingredient , nutraceuticals , heterologous proteins [8, 9] and vaccine delivery [10, 11]. Due to the efficiency of L. lactis as a cell factory, a number of expression systems have been studied, developed and reviewed . One of the most prominent lactococcal expression systems studied and discussed is the nisin-controlled expression (NICE) system [12, 13] which is now commercially available. The system works through a signal transduction which occur via two components signal transduction machinery; membrane anchored sensor protein (NisK) and cytoplasmic response regulator protein (NisR). Upon its interaction with nisin, NisK is autophosphorylated and thus, resulting in phosphotransfer to NisR. When NisR is activated, the transcription of the target genes cloned downstream of the nisin promoter PnisA, is activated . This system allows tightly regulated protein expression, not only in Lactococcus, but also in other LAB such as Lactobacillus, Streptococcus and Bacillus[15, 16]. A wide range of successful applications involving this system have been carried out and discussed [14, 16, 17]. The investigations to date also indicate that different strains of the bacteria differ in their performance due to slight variations in their genetic make up. A number of studies have been conducted to screen and isolate new strains for enhanced performance or to discover novel properties. A host, which can harbour and stably maintain the recombinant plasmids, or strains, which lack certain proteases and thus help in reducing the proteolytic activities and increase the stability of proteins , are of interest when studying these new isolates for their specific features. A great deal of interest has also been shown to genetically modify these economically important organisms to improve their traits. Before a new isolate could be used for these studies, the underlying information including its characteristics and genetic make up should be first elucidated. This is important for easier manipulation and control of the strains, as well as fulfilling the requirement of legalisation for its use in food industry. In the present study, Gram-positive cocci previously isolated from milk were screened for L. lactis. The isolates were then identified using 16S rRNA sequencing and some of their genotypic and phenotypic characteristics evaluated. One of the isolates was tested for its ability to harbour and express heterologous plasmids and protein, in order to gauge the potential of the strain to be developed as an expression host. The bacterial strains and plasmids used in this study are listed in Table 1. The strains were from a previous laboratory collection isolated from the milk of locally bred cows. The milk was plated aseptically on M17 agar  supplemented with 0.5% (w/v) glucose (GM17) and incubated at 30°C for one to two days until colonies appeared. The colonies designated as M2, M4, M5, M6, M11, M12, M14, M16, A1, A2, A3, A4, A5 and A6 were randomly selected for identification. L. lactis subsp. cremoris MG1363 and L. lactis subsp. lactis ATCC 11454 were used as positive controls for the two subspecies of L. lactis. All the milk strains and lactococcal controls were cultured in GM17 broth at 30°C for 16 h as stand cultures. Escherichia coli TOP10 (Invitrogen) was grown at 37°C in Luria Bertani (LB) broth with vigorous shaking at 200 rpm . Ampicillin, kanamycin and erythromycin were added to final concentrations of 50 μg/ml, 100 μg/ml and 5 μg/ml, respectively. E. coli recombinants were screened by the addition of 0.004% (w/v) of 5-bromo-4-chloro-3-indolyl-β-D-galactopyranoside (X-gal) while the L. lactis transformants were screened based on the antibiotic resistance selection marker. Genomic DNA was extracted using the method described earlier . The partial 16S rRNA gene of the putative lactococcal strains was amplified from their genomic DNA by PCR using primers as described previously  with some modifications. The fragment containing the variable regions V1 to V3 of the 16S rRNA gene  was amplified using primers P1 (5'-GCG GCG TGC CTA ATA CAT GC-3'; 41-60 [nucleotide number according to the E. coli 16S rRNA gene]) and P4 (5'-ATC TAC GCA TTT CAC CGC TAC-3'; 685-705) . The PCR products were then run on 1% agarose gel electrophoresis and cloned into pCR2.1-TOPO or pCR-Blunt II-TOPO vectors (Invitrogen). 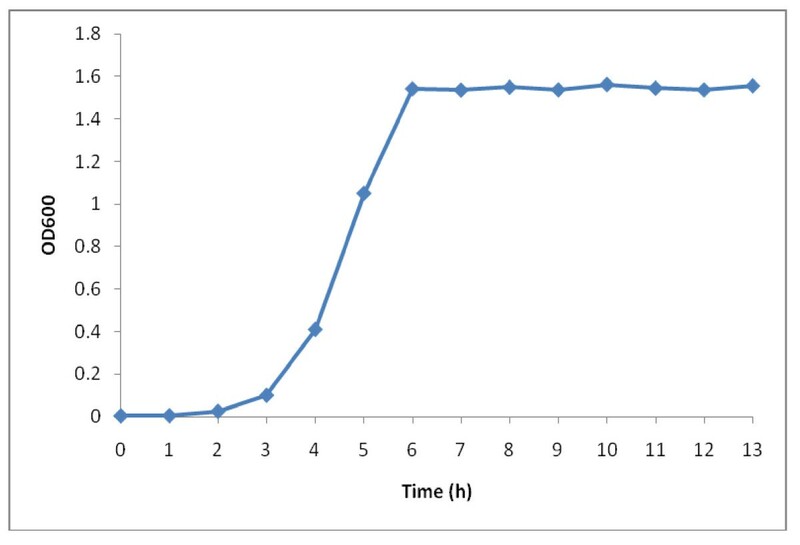 Transformation of recombinant plasmids into E. coli TOP10 strain was done using the heat shock method as described previously  with minor modifications. Lactococcal plasmids pMG36e, pAR1411, pAJ01 and pMG36e-GFP were transformed individually into L. lactis M4 and MG1363 competent cells by electroporation . 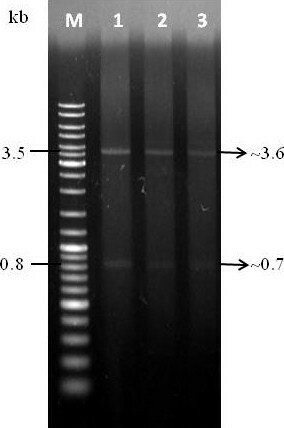 The plasmid profile was generated on agarose gel electrophoresis. 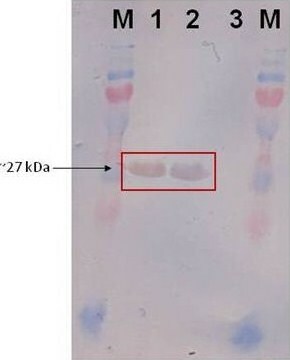 The DNA was resolved by 0.7% (w/v) agarose gel and the image was captured after staining with ethidium bromide and UV transillumination. The plasmid sizes were estimated based on the supercoiled plasmids of L. lactis ATCC 11454 . The antibiotic susceptibility pattern to 16 antibiotics (Table 2) of the L. lactis strains was assessed through the agar-disc diffusion method of Kirby-Bauer according to CLSI/NCCLS guidelines (2005) with minor modification . L. lactis MG1363 and ATCC 11454 were used as controls. The lactococcal strains were subcultured on GM17 agar plate with sterile cotton swab and were allowed to air-dry. The antibiotic discs (Oxoid) were placed on the agar, four per plate and the cultures were incubated at 30°C overnight and the diameter of the inhibition zone surrounding the antibiotic discs was measured. The test was carried out twice independently and the average of the inhibition zone diameters was calculated. An overnight culture of L. lactis M4 harbouring pMG36e was diluted (1:100) in GM17 broth. A volume of 1 ml of inoculum was centrifuged to separate the pellets and resuspended with 1 ml of 1× PBS buffer. The optical density at 600 nm (OD600) was determined using spectrophotometer (Thermo Scientific, USA). A volume of 100 μl of the culture was used for serial dilution and the cells were spread on GM17 agar. This course was repeated every hour. Growth curve for L. lactis M4 carrying pMG36e was constructed and the doubling time was calculated. Plasmid stability test was carried out based on the method described previously  with some modifications. Based on the data obtained from the growth curve, the cells were maintained at exponential phase for more than 100 generations. A volume of 100 μl of overnight culture of L. lactis M4 harbouring pMG36e was inoculated into 100 ml GM17 broth in the absence of antibiotic. The cells were grown until the OD600 was at upper log phase, and 100 μl of culture was inoculated into fresh 100 ml GM17 broth. This routine was done successively until the cells reached about 120 generations. The cells were then spread onto GM17 agar for every 20 generations and incubated at 30°C for 16 h. A total of 100 colonies were picked randomly and subcultured on GM17 agar supplemented with erythromycin. The stability of the plasmid was determined based on the ability of the colonies to grow on the agar in the presence of the selective pressure. The plasmid pMG36e-GFP was used to investigate the expression of the recombinant protein in L. lactis M4. A 717 bp DNA fragment encoding for GFP protein was amplified using the primers FGFP (AGAGCTC CGATGAGTAAAGGCGA) and RGFP (CCAAGCTT TTATTTGTATAGTTCATCC) from plasmid BL21 (DE3) pLysS pet 32b(+) GFP (obtained from Microbial Biotech Laboratory, UPM) and digested with Sac I and Hind III. The purified fragment was then ligated to pMG36e which was also digested with the same enzymes to obtain the expression vector pMG36e-GFP. Approximately 2 μl of ligation mixture was mixed with 40 μl of L. lactis competent cells and transferred using electroporation. An overnight culture of L. lactis M4 harbouring pMG36e-GFP was diluted (1:40) in GM17 medium supplemented with erythromycin, grown to an optical density at 600 nm of 0.5 and harvested for protein analysis. Intracellular and cell-associated proteins were prepared using the method described previously . Samples were run on 12% SDS-PAGE Tris/glycine gels and transferred to polyvinylidene fluoride (PVDF) membrane by using the semi-dry blotting method. Upon usage, the membrane was equilibrated with methanol for few seconds. This was followed by soaking the membrane and three pieces of 3MM Whatman paper in transfer buffer. The transfer of proteins from the SDS-PAGE was accomplished by applying a constant current of 65 mA for at least 1 h depending on the size of protein using Hofer transfer units. Next, the membrane was incubated in 1% blocking solution for overnight at 4°C without shaking. Incubation of the membrane with primary antibody (Anti-GFP Rabbit pAb; Calbiochem) 1:2000 diluted in 0.01% (v/v) Tris-Buffered Saline Tween-20 (TBST) was carried out for 2 h at room temperature with shaking. Following this, the membrane was washed 4 times in 0.01% (v/v) TBST with shaking for 5 min each at room temperature. Secondary antibody (Goat Anti-Rabbit IgG Alkaline phosphatase; Calbiochem) incubation was carried out for 2 h with shaking at room temperature. The antibody used was at a dilution rate of 1:5000 in 0.01% (v/v) TBST. Subsequently, the membrane was washed again as above. Finally, incubation in the detection buffer consisting of 3-bromo-4-chloro-5-indolyl phosphate and nitro blue tetrazolium (BCIP/NBT) (Calbiochem) buffer was carried out with gentle agitation at room temperature for 10-15 min. The progress of the reaction was carefully monitored and when the bands with desired intensity appeared, the membrane was quickly rinsed with sterile water. Finally, the membrane was air-dried and kept until further use. The partial 16S rRNA gene fragment was amplified with the primers P1 and P4 (Figure 1) and successfully cloned and verified (Figure 2). These primers targeted the conserved regions of the 16S rRNA gene that flank the variable regions V1 to V3 of the gene . The 90 bp fragment of the V1 region contained sufficient sequence variation to discriminate the species of the genus Lactococcus while the V3 region contained sufficient sequence variation to differentiate the species of Leuconostoc. Others also reported that the region of greatest heterogeneity occurs in approximately the first 500 bases of the 5'-end . Therefore, the regions of 41-705 nt (E. coli numbering)  were targeted in this study to identify the milk isolates, instead of the 1.5 kb full length sequence of the gene. PCR-amplified partial 16S rRNA gene using P1 and P4 primers. Lane M: GeneRuler™ DNA Ladder Mix (Fermentas); Lanes 1 to 17: milk isolates; Lane 18: L. lactis subsp. cremoris MG1363; Lane 19: L. lactis subsp. lactis ATCC 11454; Lane 20: negative control. RE digestion verification of the insertion of partial 16S rRNA gene fragment in the vector. Lane M: GeneRuler™ DNA Ladder Mix (Fermentas); Lanes 1 to 10: putative recombinant plasmids; Lanes a: Eco RI-digestion samples; Lanes b: undigested samples. Two of the eight lactococcal strains studied gave plasmid profiles detectable with the method used (Figure 3). These (M12 and M14) lactococcal strains contained several plasmids with various sizes, ranging from 1.6 kb to ~46 kb, and gave different banding patterns that can differentiate them. However, the plasmid extraction of the other six strains was unsuccessful although repeated several times. The plasmid-free strain MG1363 and the nisin-producing strains ATCC 11454 were used as control for the plasmid extraction. The ATCC strain was reported to carry plasmids with the size of 48.2, 44.1, 33.2, 29.4, 5.5 and 2.3 kb . 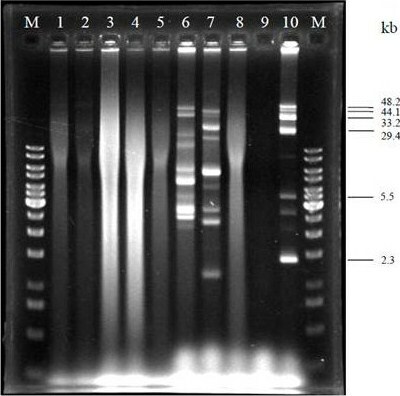 Plasmid profile of lactococcal strains isolated from raw milk. Lane M: GeneRuler™ 1 kb DNA Ladder; Lane 1: M2; Lane 2: M4; Lane 3: M5; Lane 4: M6; Lane 5: M11; Lane 6: M12; Lane 7: M14; Lane 8: M16; Lane 9: MG1363; Lane 10: ATCC 11454. The size of plasmids from ATCC 11454 are depicted. The eight lactococcal strains were used for further characterisation studies. Table 3 shows the diameters of the inhibition zone of the antibiotic discs. All of the lactococcal strains exhibited antibiotic susceptibility pattern similar to that of L. lactis MG1363 and ATCC 11454. However, some of the strains showed slight differences. Strains M2, M4, M11 and M16 were more resistant to tetracycline (10 μg) and oxytetracycline (30 μg) compared to others. The diameter (in mm) of the inhibition zones were the average of duplicates. 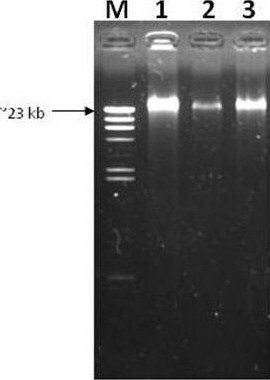 Total DNA isolation of L. lactis M4 showed that the strain was devoid of low molecular weight plasmid (Figure 4). The strain was transformed with several lactococcal plasmids to investigate its ability to carry plasmid. Based on the plasmid bands extracted from L. lactis M4 transformants (Figure 5), it was confirmed that this strain can carry and replicate the plasmids without any indication of possible incompatibility. All plasmids isolated from transformed L. lactis M4 cells were shown to have the same sizes as the plasmids isolated from the transformed L. lactis MG1363 cells. GFP gene which was cloned into pMG36e was able to be retrieved from digested recombinant plasmid pMG36e-GFP (Figure 6). Total DNA isolation of L. lactis subsp. lactis M4. Lane M: λ/Hind III marker (Fermentas); Lanes 1 to 3: L. lactis M4. (Top) Plasmid profile. (Bottom) Verification of transformants by restriction enzyme analysis. Lane M: GeneRuler™ DNA Ladder Mix (Fermentas); Lane 1: pMG36e in L. lactis MG1363; Lanes 2-3: pMG36e in L. lactis M4; Lane 4: pAR1411 in L. lactis MG1363; Lanes 5-6: pAR1411 in L. lactis M4; Lane 7: pAJ01 in L. lactis MG1363; Lanes 8-9: pAJ01 in L. lactis M4. Based on the growth curve (Figure 7), the doubling time of L. lactis M4 carrying pMG36e was found to be 35 min. The doubling time was used to calculate the amount of time needed for the transformant to reach their 100th generations. The stability of the transformed pMG36e in L. lactis M4 is crucial to ensure that the plasmid can be maintained in the strain. In this work, all of the 100 colonies were able to grow on the medium containing erythromycin, suggesting that the plasmid is 100% stable in L. lactis M4. Growth profile of L. lactis M4 carrying pMG36e. RE digestion was carried out to confirm the presence of inserts (GFP) by comparing the size differences of the linearised plasmid. 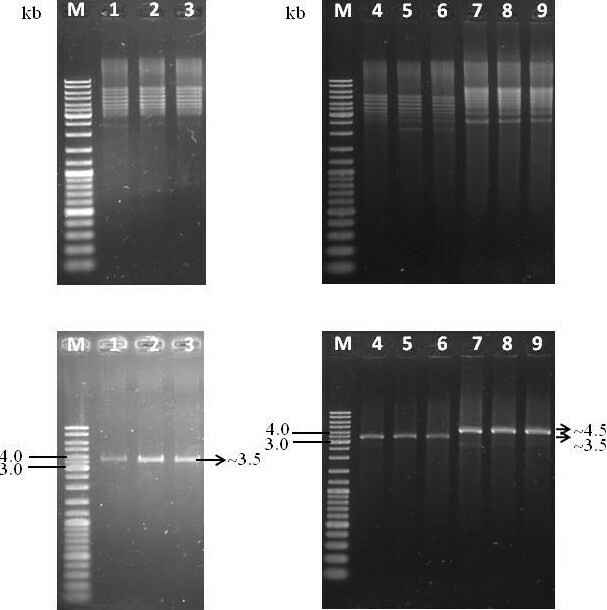 Both verifications based on PCR method and double digestion of the recombinant plasmids showed the existence of inserted DNA fragments (Figure 5-bottom). The ability of L. lactis M4 and MG1363 to express the recombinant protein GFP was confirmed by SDS-PAGE and Western blot with the presence of a ~27 kDa protein band (Figure 8) (data not shown for the expression of protein in L. lactis MG1363). 16S rRNA gene sequence analysis is now widely used as a genetic identification method for bacteria . It is more reliable than the conventional phenotypic method of bacterial identification, which can differentiate even to the species or subspecies level [22, 30]. The 16S rRNA gene sequences of the milk strains were compared to the databases available in National Center for Biotechnology Information [NCBI, 31] and Ribosomal Database Project-II [RDP-II, 32] sites. NCBI site hosts and allows access to the general sequence data banks, such as GenBank, European Molecular Biology Laboratory (EMBL) and DNA Data Bank of Japan (DDBJ). However, RDP-II was designed to contain rRNA sequences and provide related services such as sequence alignment and phylogenetic tree building for bacterial identification . Some species within a genus may share identical 16S rRNA gene sequences, for instance, Mycobacterium bovis and M. tuberculosis, therefore 16S rRNA gene sequence analysis of these bacteria may provide limited usage. However, these problems could be solved by polyphasic approach which examines more than one structural gene sequences . The results of this study showed that eight of the 14 milk strains randomly selected from the laboratory collection were identified as L. lactis subsp. lactis, while the other six strains were found with high sequence similarity with Enterococcus species. The 16S rRNA gene sequence analysis (Table 4) showed that only 57% of the randomly selected isolates belonged to the genus Lactococcus while the remaining were Enterococcus. On the other hand, L. lactis subsp. cremoris had not been detected in this study. This is not surprising as these microbes are infrequently isolated from raw milk . This was also in accordance with reports that the subsp. lactis were more prevalent than cremoris in the dairy environment . This may be due to the fact that subsp. cremoris occurred in a very small number naturally. L. lactis was reported to carry multiple plasmids naturally . These plasmids are important for their survival in the natural environment. The dairy lactococci were expected to harbour various plasmids, with different sizes and functions. The plasmid profile of the strains could serve as a typing method to discriminate them , and as a source for studying new plasmids. Out of the eight strains of L. lactis isolated in this study, only two of them were able to give plasmid profile. Other isolates may contain excessive metabolites such as polysaccharides which retard the extraction method. Extraction method which targeted this type of problem should be tried. Up to nine DNA bands were detected from the plasmid extraction. However, the actual number of plasmids present in the two strains were not elucidated as plasmids may appear in different conformations, such as supercoiled, open circular or linear in the agarose gel analysis. The supercoiled form is normally the most abundant. In addition, some large plasmids may have low copy number. Therefore, they may be difficult to be detected through agarose gel electrophoresis. Recently, the role of non-pathogenic bacteria in the spread of antibiotic resistance genes, has caused grave concern and is being widely investigated [39, 40]. These bacteria have been shown to act as reservoirs for the resistance genes with the potential to transmit them to other microbes. Therefore, in addition to genotypic characterisation, the phenotypic features such as antibiotic resistance of the lactococcal strains were also analysed. In this study, we report that the strains of L. lactis were resistant to antibiotics from the groups of aminoglycosides, coumarin-glycosides and quinolones tested, in addition to the peptide group of polymycin B. These strains were sensitive to the peptide group of bacitracin and macrolides tested. The susceptibilities to β-lactams and phenicole group of antibiotics were in the intermediate range. The resistance of the strains isolated in this study towards aminoglycosides was in agreement with the observation described previously . These antibiotics are not taken up effectively by the bacteria due to their nonoxidative metabolism . 26 strains of L. lactis subsp. cremoris and subsp. lactis were previously reported to be resistant to trimethoporim and sulfathiazole, and the resistance against gentamicin, kanamycin, lincomycin, neomycin, nisin, rifampin and streptomycin varied . Resistance towards tetracyclines varied among the strains isolated in this study, which may due to the acquisition of resistance genes. The results were consistent with the work carried out previously , where L. lactis was reported to be strongly inhibited by bacitracin but mildly affected by streptomycin. Recently, Flórez et al. reported the isolation of several strains of L. lactis with high resistance to tetracycline but not to other types of antibiotics. 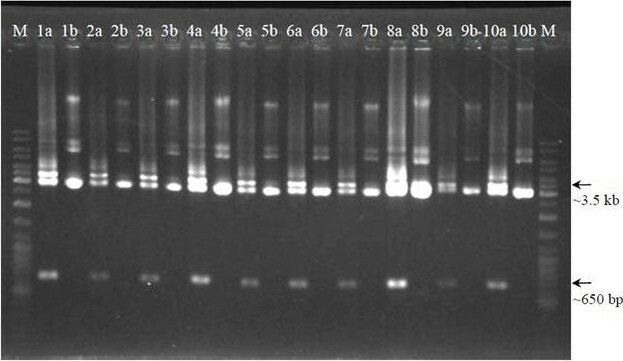 L. lactis M4 exhibited an interesting profile where there was no indication of the presence of low molecular weight plasmids in the total DNA extraction of this strain (Figure 4). When transformed with other lactococcal plasmids, the strain was able to carry them without any signs of incompatibility. Plasmid incompatibility may become an obstacle in the development of bacterial expression hosts. It can occur when two plasmids failed to be maintained in the same cells . Therefore, the strain M4 was investigated for its ability to carry several lactococcal plasmids in order to check for any incompatibility with low molecular weight plasmids undetected by the plasmid isolation method used in this study. However, incompatibility was not observed as the plasmids were successfully retrieved from the cells (Figure 5). Several factors have been reported to cause plasmid instability in bacteria including defects in a set of plasmid-coded regulatory elements that regulate replication and partitioning and ineffective synchrony with certain host functions [46, 47]. Plasmid instability prevents or decreases the production of desired recombinant proteins carried by some engineered strains, despite their ability to secrete out the proteins to the medium. For example, the use of Bacillus subtilis in producing the recombinant proteins has become less favourable because of this . Therefore, the strain M4 was transformed with pMG36e and plasmid stability test was carried out to ensure the ability of the cells to harbour and maintain the plasmid. Based on the growth profile, the cells took about ~60 h to reach 100 generations. Recently, both incubation time and temperature were reported to have substantial effects on plasmid loss . The researchers found that the incubation time had the most extreme effect on the stability of low molecular weight plasmids in Lactococcus cells where plasmid loss was observed after 72 h of cultivation while temperatures in the range of 15-40°C also stimulated plasmid instability. Nevertheless, the plasmid pMG36e was found to be 100% stable in L. lactis M4 where all of the 100 colonies were able to grow on the medium containing erythromycin even after 120 generations or ~72 h of cultivation. There is a need to develop suitable microbial hosts for the expression of many important proteins. The current work is important in identifying L. lactis M4 as an expression host. Lactic acid bacteria expressing heterologous proteins have been used in the food industry, pharmaceutical and as vaccine delivery. Since they have smaller genome size, do not produce endotoxins, have very low amounts of native exoproteins and are of GRAS status, Lactococcus has several advantages over E. coli and also Bacillus sp as a producer of bioactive molecules. Therefore, the ability of the L. lactis M4 to maintain and express the heterologous protein GFP suggest that this strain is potentially ideal to be further characterised and developed as an expression host. Our results show that eight Lactococcus lactis milk strains were successfully isolated, characterised and were resistant to antibiotics from the groups of aminoglycosides, coumarin-glycosides and quinolones tested, in addition to the peptide group of polymycin B. These strains were also sensitive to the peptide group of bacitracin and macrolides tested. The ability to maintain transformed low molecular weight plasmids and the successful expression of GFP in L. lactis M4 indicates that it could be potentially developed as a new lactococcal host for expression of heterologous proteins. Further studies on the characterisation of this strain M4 is needed as this bacterium may carry novel properties that might be useful for various applications beneficial for human use. We would like to acknowledge the financial support from the Science Fund, Ministry of Science, Technology and Innovation of Malaysia (MOSTI). A special thanks to the members of Microbial Biotech Laboratory, UPM for their ideas and support. WYH carried out the isolation and characterisation of the isolates. NN carried out the transformation of lactococcal plasmids into the strain M4 and studied their stability. AB performed the expression of GFP in the strain M4. WYH and NN drafted and coordinated the manuscript. ARR, CCS, MR, MIR and KY participated in the discussion of experimental results and in the revision of manuscript's intellectual content. All authors read and approved the final manuscript.